Berlin-based startup Contentful, the cloud-based content management platform for web and mobile apps, has launched in beta following a successful round of seed funding. While financial terms of the deal were not disclosed, leading the round was Roberto Bonanzinga from Balderton Capital, with Christoph Janz from Point Nine Capital named as another “major investor”. There were also a number of smaller investments from angels that as part of the agreement now form a part of the company’s shiny new advisory board. Contentful takes an “API-first approach” to content in order to be able to feed it to any Web-enabled device from a single input. What this really means for Web and app developers is that they can focus on creating engaging, easy to use presentation layers for the end-user, but they don’t need to worry about how to integrate content into their apps or things like synchronizing it. “Before founding Contentful I developed many apps for clients. The problem my customers faced is that existing CMS are web publishing tools for page-centric websites and only superficially separate content from presentation thereby constraining publishing to new platforms. Contentful solves this issue: a content management platform focusing on structured content, with a great author experience and a powerful API,” Sascha Konietzke, founder and CEO of Contentful, said. The company’s apparent success in securing seed funding is perhaps little surprise given that it has been running a slightly different version of Contentful in the form of StorageRoom since 2011. 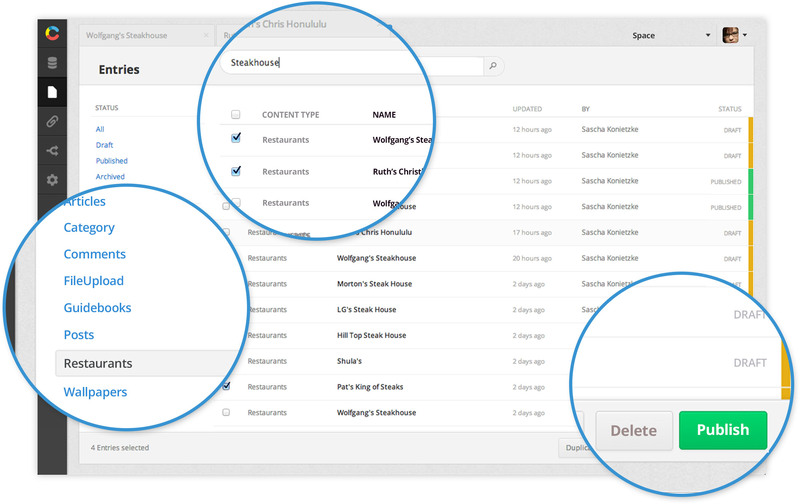 Like Contentful, StorageRoom is a content management platform for Web and mobile apps and has already seen interest from big name media companies like Viacom as well as plenty of media agencies. So what happens to StorageRoom and its customers? Well, StorageRoom will keep going until the end of 2014, but will also be working to help current users migrate across to Contentful – no more new customers will be accepted.